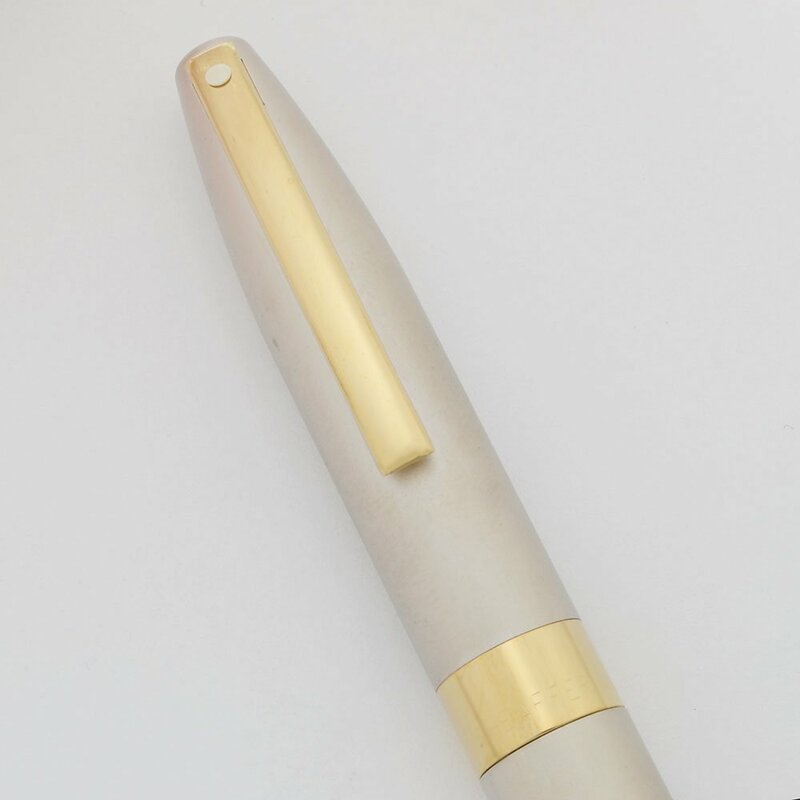 Heavy ballpoint from the Sheaffer Legacy Heritage collection. Sandblasted Palladium with gold plated trim. Near mint new old stock condition. Filling System The pen takes Sheaffer ballpoint refills. A working refill is installed in the pen. We sell Sheaffer compatible refills (both gel and traditional) by Monteverde. Color Sandblasted Palladium. Gold plated trim. Condition New old stock and in near mint condition. There is some light microscratcing and polishing marks on the trim and clip. No cracks, chips, dents, or even scratches. Imprints are clear.